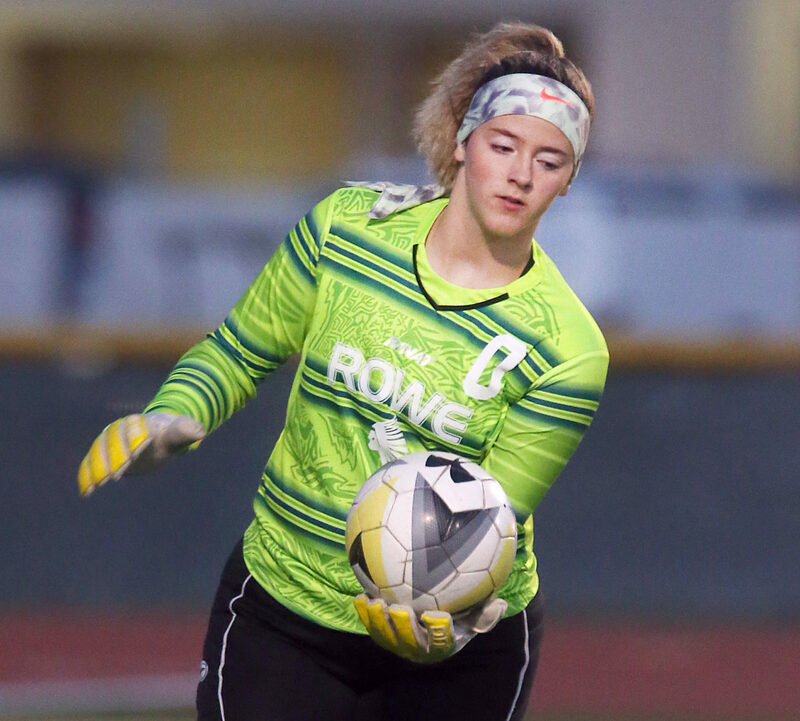 McALLEN — McAllen Rowe goalie Hethyr Moore took off her shin guards at PSJA Southwest High School after her team had completed at 4-0 shutout of the Javelinas in the PSJA ISD soccer tournament Jan. 18. The Warriors had just completed their fourth game in less than two days and Moore had large scabs on her legs. They weren’t fresh cuts, Moore had gotten the turf burns earlier in the week at practice. Serving as the team’s deepest player, the last line of defense before conceding a goal, is a physical task. 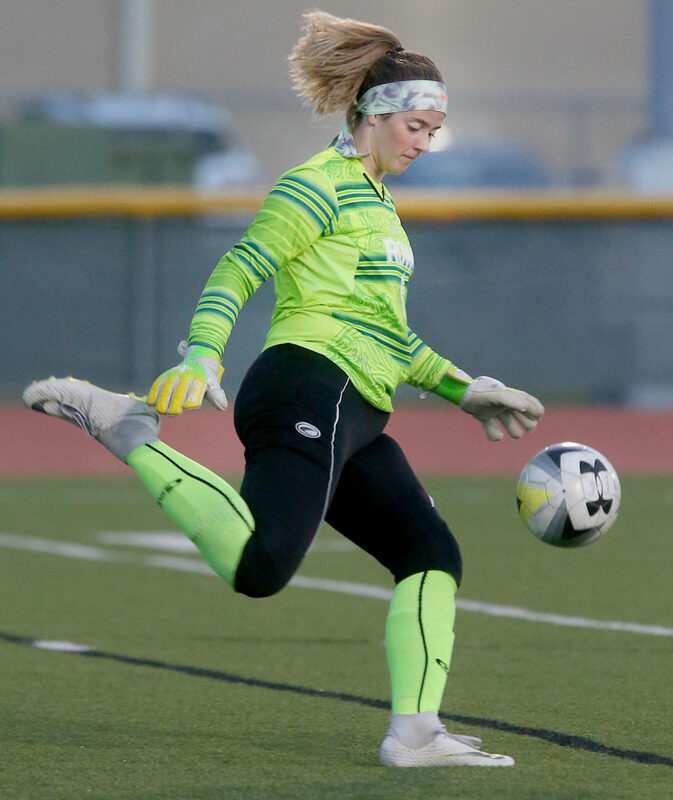 Many goalies are multi-sport athletes, borrowing diving skills from volleyball or jumping from in track. Playing net also is a mentally and emotionally taxing position. 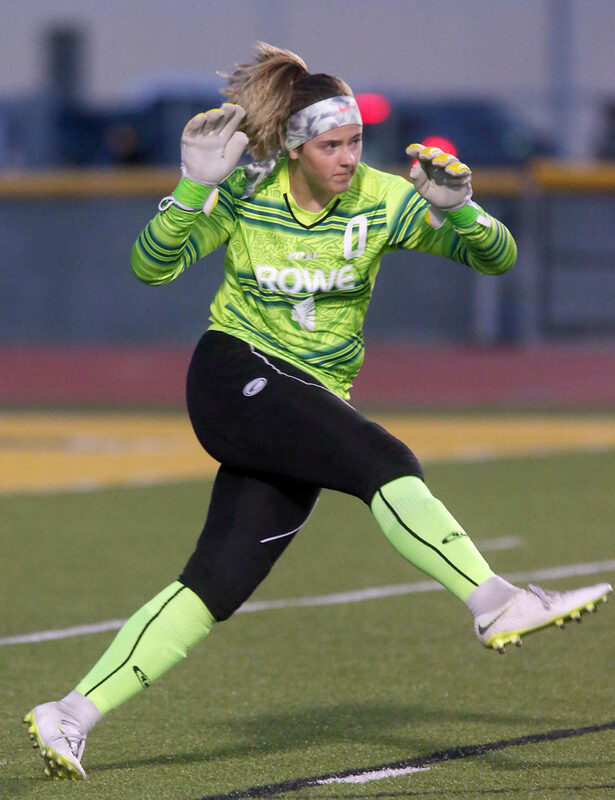 Moore is a part of the sacred society of stoppers with pads, pants and puffy gloves that can bail out, or sink, their team’s chance to win. Either way, attitude counts. Her goalie idle is German keeper Manuel Neuer of Bayern Munich. She channels the 2014 World Cup champion by trying to keep a traffic-free zone in front of her. 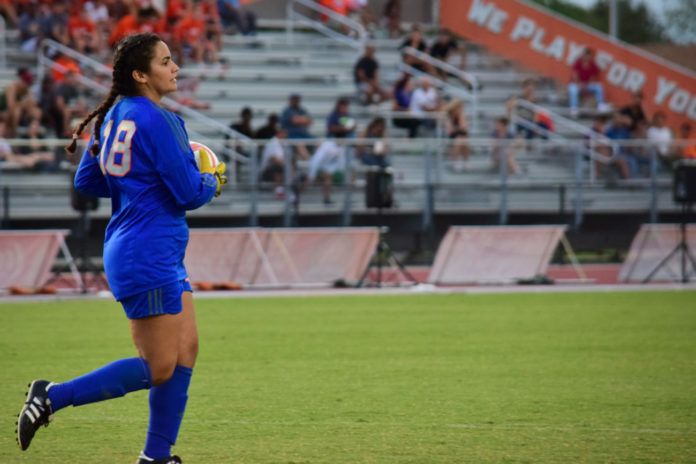 Edinburg High’s Kristen Salinas is only a sophomore and relatively new to the position between the pipes. Click here to read the rest of the story on RGVSports.com.